There are of course a number of fantastic non-profit organizations that we support however we have chosen the Oncafari Jaguar Project as our main priority. Bellingham Safaris involvement with the Oncafari Jaguar project represents our core principles of RESPECT, GUIDE, PROTECT. 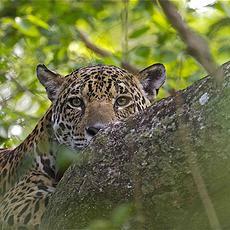 The Oncafari Jaguar project is an independent non-profit organization, please click this link for further information on our involvement – it deserves its own page. Currently all tours that we run and that make use of andBeyond properties include a donation from Bellingham Safaris to Rhinos without Borders. This does not impact on the cost of your tour. 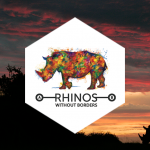 Rhinos Without Borders is a project aimed at moving 100 rhinos from the highest poaching zones in South Africa, to the lowest poaching zones in the whole of Africa, Botswana – to save them from the poaching crisis. It is a modern day Noah’s ark for rhino genes and we hope that this seed population will increase in size and have a positive impact on the rhino population, which is currently in deficit with more rhinos dying than are being born. 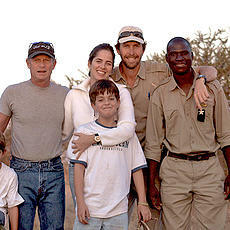 Once the rhinos reach Botswana they are protected by anti-poaching teams, who also protect other species in the process. Together with eco-tourism operators and in consultation with the communities themselves, Africa Foundation facilitates socio-economic development of rural communities, predominantly those living in or adjacent to conservation areas, which assists in the protection of Africa’s heritage. 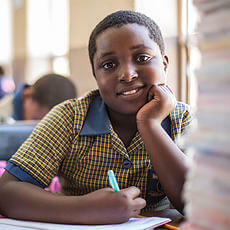 Africa Foundation makes a measurable difference in the communities into which they are invited into and support. 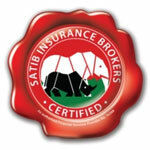 The projects they facilitate are based on two simple principles – community participation and local leadership. Bellingham Safaris is partnering with Children in the Wilderness to host 24 kids for 3 nights on safari in Zimbabwe (at Wilderness Safaris Davison’s Camp in Hwange National Park). Our choice of properties is based not only on guest experience and quality of service but also on a demonstration of commitment to conservation, green operations and tangible benefits to the local communities. Printing at our office is done on Triple Green paper. Triple Green paper is made primarily from sugar cane fiber, using a bleaching process that is elemental chlorine-free. All wood fibre used in production is sourced from sustainable and internationally certified sources. We do not print a traditional brochure – we would rather save trees and yes money (which can go towards our solar plans!). We recycle all paper, plastic and glass used in the office. Food waste is composted. Locally sourced consumables are used wherever possible – this includes our BELLINGHAM SAFARIS clothing and accessories range which is all “proudly South African”. All new appliances are “energy saving” including light bulbs. We have moved to laptops that use significantly less energy than desktops. We do plan to move to a solar pholtovoltaic (PV) system for our electrical needs, however as this requires substantial capital investment it is part of our long term journey towards a 100% green office. In order to minimize any negative impacts our guides have been trained in a strict code of conduct whilst viewing wildlife. The rules are a condition of employment by Bellingham Safaris and are designed to reduce the impact of human presence on the natural environment. This is available to you on request.